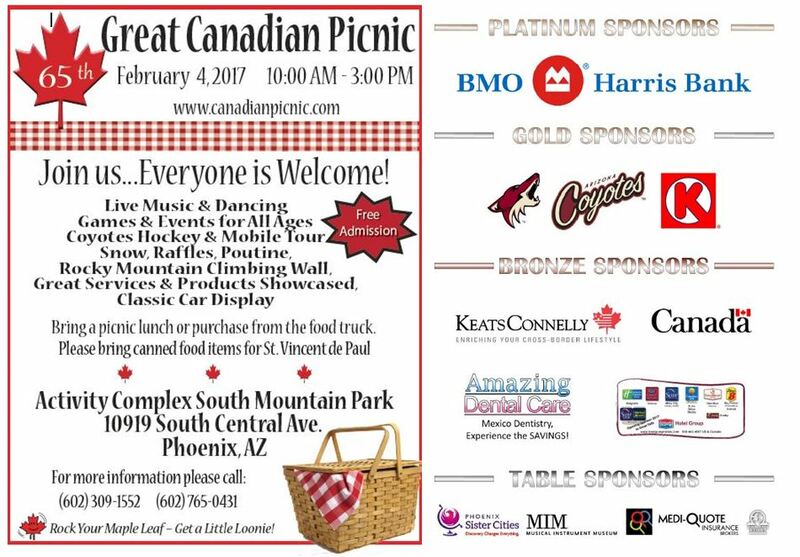 Phoenix Sister Cities invites you to celebrate the 65th Annual Great Canadian Picnic. It is a fun-filled day of activies, games, live music, snow games, hay rides, classic cars, prizes, food and more! The event is supported by the Canadians in Arizona Benefiting Education & Exchanges 501(c)3 Non-Profit Organization. Proceeds from the Great Canadian Picnic support exchanges between Arizona and Canadian cities that focus on youth and education. Admission is free. Please bring a canned food item for St. Vincent de Paul.